A classic gnocchi with basil pesto recipe with the addition of some sautéed mushrooms for a change. The fresh gnocchi really make the difference. 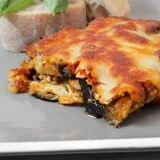 Add some chorizo cubes and you are on a good track for a lovely meal. 800 gr (28 oz) fresh gnocchi. A rich handful of basil leafs. 4 tablespoons of pine nuts. 300 gr (10 oz) mushrooms sliced. 100 gr (3.5 oz) grated parmesan. ⅓ cup of white wine. Add the basil leafs, pine nuts, garlic, 1 tablespoon of parmesan and 3-4 tablespoons of olive oil into a blender and make a smooth pesto paste. 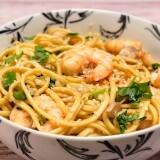 Pour 3-4 tablespoons of olive oil into a large frying pan and warm it up on medium heat. Add the mushrooms, season with salt and pepper and cook them until golden brown. 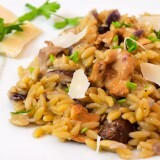 Add the white wine and let the mushrooms cook until juices have reduced. Boil the fresh gnocchi 1minute less than the time recommended on the box and drain them. 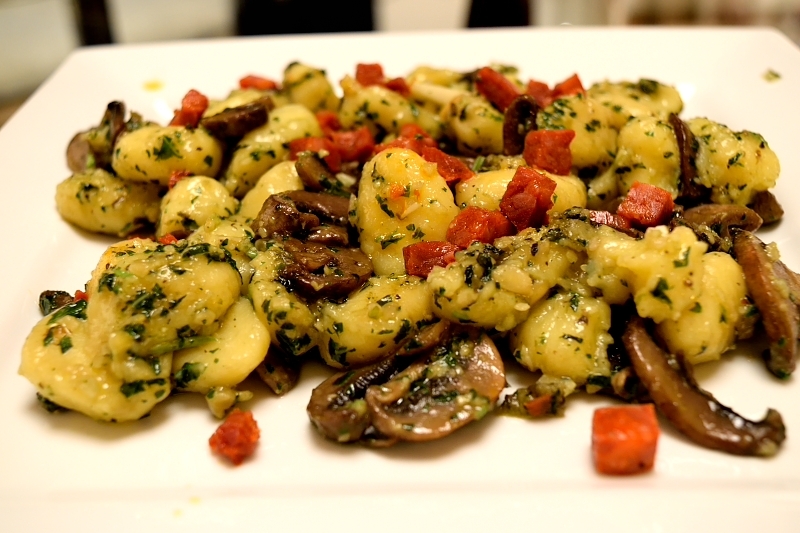 Fresh gnocchi usually need 2-3 minutes so don't boil them more than 1 ½ – 2 minutes. Add the gnocchi and the pesto sauce in the pan with the mushrooms and stir well on medium heat until all the ingredients mix well. Cook for 2-3 minutes. 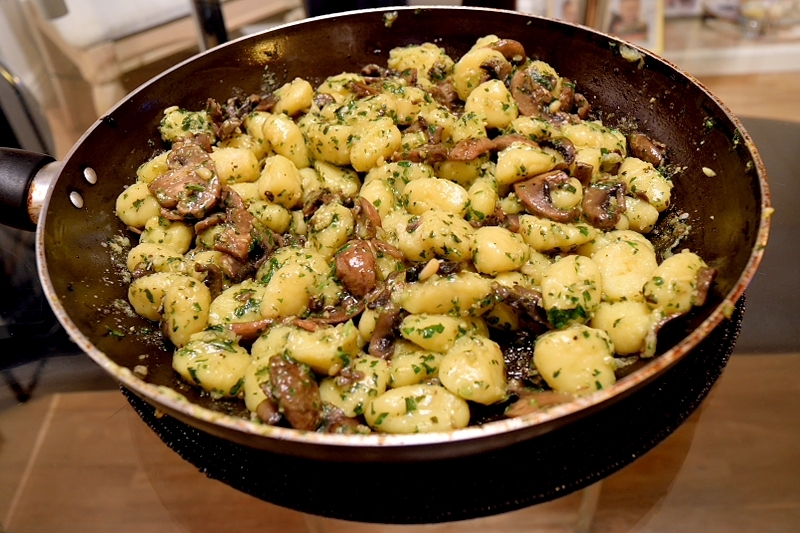 Serve the gnocchi hot with plenty of parmesan and some sautéed chorizo cubes (optional).